El Paso y Mas is a daily community paper delivered to homes and available in racks in and around El Paso. Features include news, community events, classifieds, and more. PaperCity Magazine is a style publication covering fashion, home design, social travel, restaurants, and entertainment with lively coverage of parties, galas, and charity events. PaperCity caters to affluent male and female readers who shop, eat out, work out, and go out frequently. 944 Magazine hits a niche in a previously untapped marketplace: young, affluent, upwardly mobile, and stylish professionals who strive for the finer things in life. Editorial content encompasses local business profiles and articles regarding local development, spas, artists, designers, and events. Content is image-focused, with coverage of hairstyles, boutique owners, local fashion/jewelry designers, the local dining/culinary scene, and profiles of bands, music, clubs, and bars. While publishers have long touted the value of public-place copies, advertisers have been reluctant to accept their claims. A recent study commissioned by Time Inc. and Mediaedge:cia concluded that the magazines you find in doctors' offices, hair salons, and airports have more advertising value than originally thought. "Intuitively, we thought that people perused the copies, but we had questions as to the level of engagement they had versus newsstand or subscription readers," said George Janson, managing partner and director of print at Mediaedge:cia. The study was conducted online in January by M&RR, an independent research firm. Respondents were part of a 4.5 million-household Internet panel in the U.S.
29% said they have bought or intended to buy something advertised in a magazine from the newsstand or a subscription, while 19% of the public-place readers said they did. 27% said they had "followed up" on an ad from a newsstand or subscriber copy, while 15% public-place readers said they did. However, the apparent gaps between the two categories are overcome by the larger number of readers of public-place copies. The study also found engagement and absorbtion was much higher for public-place readers. Public-place readers said they had more time to devote to just reading magazines, felt less guilty about reading them instead of doing other things, and multitasked less while reading them. The 2004 election was the most expensive campaign ever in terms of media. In October 2004, the Washington Times reported that campaign spending reached nearly $4 billion. This figure included both presidential and congressional campaigns. The 2006 election promises to be as expensive across all media. Equities research firm Merrill Lynch issued a report in April 2006 upgrading its status for U.S. ad spending in 2006 due to increased midterm election campaign ad spending. 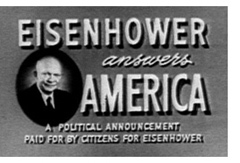 The American Association of Advertising Agencies (AAAA) recently issued a bulletin warning its members to be prepared for the increase in political ad spending: "A media-buying frenzy related to the 2006 midterm elections could create significant shortages�increase the cost�of broadcast and other ad space in many cities and states during the next six months." TNS Media Intelligence, an ad-spending tracking firm, released a spending forecast predicting "perfect storm" conditions in key markets. Although it is considered an election "off-year," TNS reported that the "sheer number of open and competitive federal, state, and local races in 2006, as well as increasing contribution limits," would cause pressure. TNS projects ad spending of more than $1 billion in the 2006 election race, as individuals are allowed to donate an additional $100 per federal candidate per election. The AAAA identified certain key markets as the most prone to tight ad inventory conditions: New York (Central and Upstate), Pennsylvania (Philadelphia and Harrisburg area), Florida (South Florida), Tennessee (Memphis and Nashville area), Washington, Michigan (Detroit area), Massachusetts, Arizona, Ohio, California, Maryland, Washington DC suburbs, Minnesota (Minneapolis/St Paul area). Spending for online political ads in 2000 was $3 million. In 2004, ad spending skyrocketed 733% to $25 million. Looking toward the major elections of 2006 and 2008, online political ad spending is likely to continue its explosive growth. While political ad spending on newspapers remained relatively flat during the same period�2.1% in 2000 and 2.2% in 2004�newspapers are poised to garner some of the online ad dollars. Newspapers have built some of the nation's best Websites, giving them the opportunity at all levels of political races�as well as for issue-driven referendums�to offer powerful advertising and promotion mediums. This is especially true in the realm of "package message" deals that allow political candidates and their supporters fresh and effective means of reaching established constituencies and new supporters through a combination of print and Web advertising and promotion vehicles. A study released by the Custom Publishing Council (CPC) and Publications Management titled "A Look at the Volume and Type of Custom Publications in America," tells an upbeat story. The study found that custom publishing is flourishing while consumer print publishing is experiencing intense online pressure. Custom publishing for 2005 continued its six-year growth trend with corporations spending $45.8 billion, doubling the amount they spent in 2000. They are also growing in size, with 25 pages per issue, an 80 percent increase since 1999. Circulation numbers are on the rise with a 20 percent increase since 2004. The CPC reported that publishers are seeing advertising growth, too. In 2005, 54 percent of custom publications ran paid ads from outside advertisers, while 20 percent carried in-house ads. 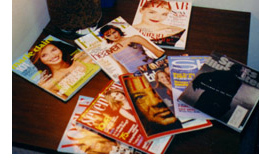 There are more copies of custom magazines distributed than ever�an estimated 34 billion, according to the CPC. Redwood Custom Communications publishes Food & Family for Kraft Foods. The English and Spanish versions reach 10 million U.S. households and the English and French versions, titled What's Cooking, reaches an additional 2 million Canadians. New partnerships are being formed, such as the alliance between National Geographic and The Magazine Group. Rather than launch a custom arm of its own, Stephen Giannetti, VP and group publisher for the National Geographic Group, said, "We looked at scenarios where we use edit staff of one of our magazines." "It could have been done for one magazine," Giannetti continued. "With custom publishing, though, you want multiple magazines, you want people dedicated to it. We weren't in the position to hire and bring on a large staff of people just to work on custom publishing." Membership in the CPC has risen from 25 companies in 2002 to 87 today. However, traditional publishers involved in custom publishing, such as Hearst, have taken a step back. Hearst, who once worked with more than 30 clients, now has just three. "Custom publishing sits at the center of the evolution of marketing toward branded content," said CPC Chair Jim Offel, general manager of Diablo Custom Publishing. "The research clearly shows that marketers are increasingly relying on custom publications to boost their brands." John Lowman from Verified Audit Circulation will be on hand at the CRMA conference in Boston to introduce you to our latest products and answer questions about our auditing and research services. Distribution is as important as any other part of your business. Give it the attention it needs and you will increase readership, build reader and advertiser loyalty, and enhance your reputation in your community. Advertisers are readers and community members. Many distribute the paper at or near their businesses. Your distribution practices have a big influence on their impression of your publication. Local advertising success leads to national advertising success. The effort you make with local advertisers will support your regional and national advertising sales. Your distribution policies and practices are the key to your success. Maximize the value of your investment in sales, production, and printing with excellent distribution. Carefully analyze your distribution performance; monitor return rates per route, per issue, per month, etc. You are only as good as your people. Let them know how much you value their contribution. Pay a good wage and communicate your expectations. Insist on high achievement and praise good performance. Welcome feedback to support simple, efficient systems.